What is Chabad serving the Towers? The answer is service - for such a wonderful complex. We can Kosher Your Kitchen. We can check your Mezuzah, or provide you with a new one. Are you celebrating a special Jewish occasion and need guidance or advice - we can help. Have you G‑d forbid lost a loved one and not sure where to turn?! We can help you with vital information in a time of need. No Jew should be left behind. 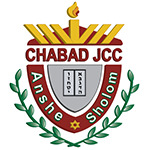 Chabad is an all inclusive jewish educational and practice organization.